This qualification covers skills and knowledge to help you manage situations where a dog requires emergency action. The vet ambulance does not come to you! Whether on a long journey or a day out with your four-legged friend, this “ITC Emergency First Aid for Dogs” course should help your trip go without any problems as it provides tips on how to prevent emergencies and information that will allow you to recognise and deal with any situations should they occur. This is an ITC First, certificated course and is regulated by SQA Accreditation. The course content complies with The Veterinary Surgeons Act 1966, updated August 2016 in respect to the treatment of animals by unqualified persons. The RECOVER 2012 guidelines and The Animal Welfare Act 2006. We will not only teach you emergency dog first aid skills but also give you confidence to deal with real life scenarios. Most of all you will have fun learning with fellow like-minded people. The course is suitable for dog owners, trainers, groomers, walkers & pet boarders. 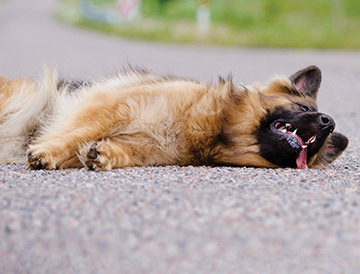 We do not practice first aid on real dogs as it may provide undue stress on the animal. We use the latest resources and training aids which will make your course a very-hands on experience. This course covers emergency first aid for dogs, but the skills learnt can be used with all small mammals, cats and rabbits.